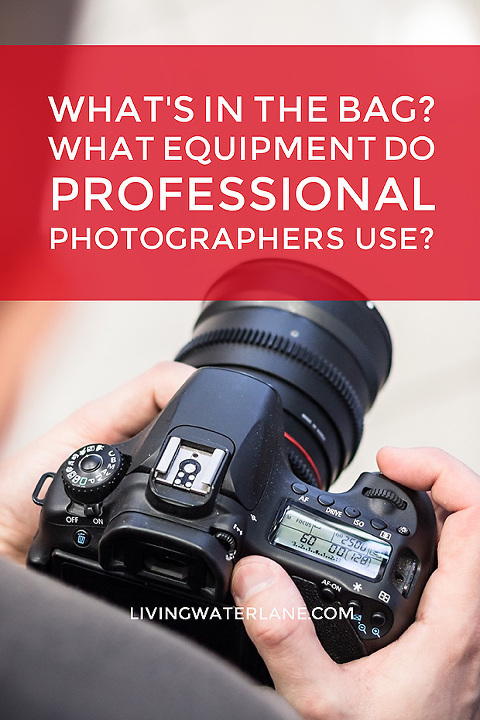 So often, when I am at a session or wedding, I am asked about my camera and lenses…so, I thought it would help to share with you all here! When I first started, I used a Rebel XTi…I worked that camera like a boss. I learned to shoot on manual and figured out all the ins and outs of it so that I could shoot confidently in any situation! The only problem…my camera could not shoot in any situation! The Rebel was a hobby camera…a low end one at that. It was made to be used for situations that most people find themselves in with everyday life. If the light was low, Canon expected me to use the pop-up flash (worst light choice out there). I quickly realized, if I was actually going to ask people to pay me to shoot for them (no matter how cheap I started out), I would have to invest in my business, which in turn, meant I was investing in my future clients. You see, I had NO IDEA if this photography thing was actually going to work. I had NO IDEA if people would continue to hire me. But, I knew that I could not let that keep me from planning as if I did know for sure that my clients were worth the investment! Not just any camera, at the time, in October 2010, it was the most expensive and most sought after camera for photographers in my field. I still have that camera today. It was worth the investment. But, more than that…every session that I shot from that time until now, was worth the investment. Each client who sat in front of that camera (and me) benefitted from that investment. They got the best that I could offer. The best camera with the best knowledge that I had. Of course, as time has gone on, I have added lenses, flashes, an additional camera body, etc. I have invested in the best computers to allow me to edit efficiently so that I can turn-around pictures to my clients in a fast, timely manner. I have invested in backup methods for my computers so that your images are always safe and available. I invest in my website, my branding, my props, etc. all to make the client experience even better. 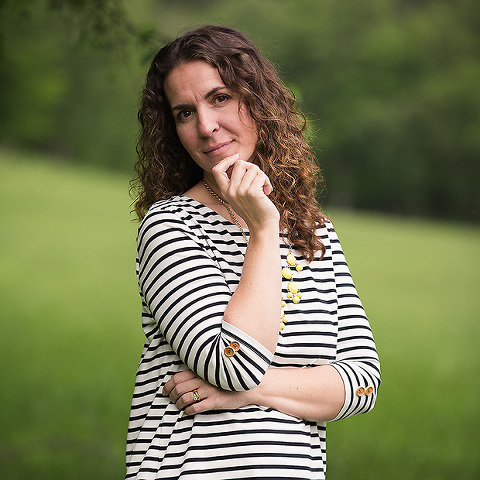 Finally, I have invested in education…to learn and grow as a photographer, blogger, marketer, and business owner! The thing is…my clients are worth the investment! They are worth the best that money can buy, and I believe in them so much, that I am willing to invest in them! I truly want to help my clients showcase the legacy that they are building with their family. This is why I do what I do…because their children are precious and time is short…because their marriage is valuable and worth so much more than one day. 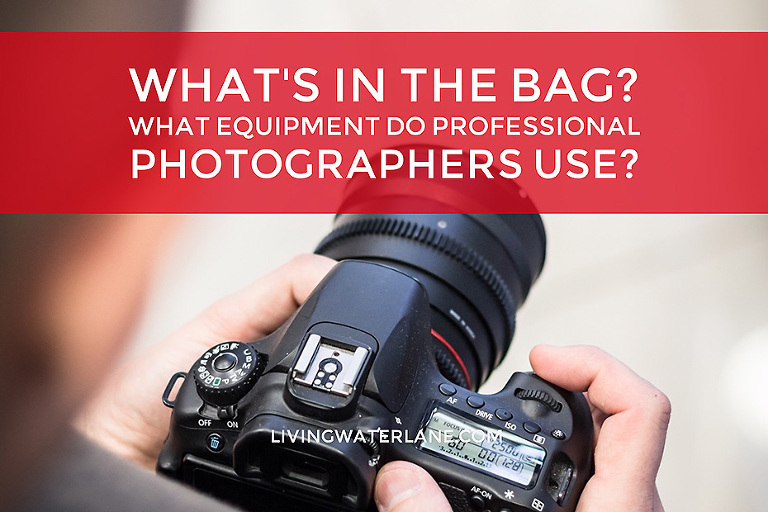 So, even though every photographer has to start somewhere and work with what they have at the time…eventually, there comes a point where you have to start investing in the future for your clients! So…here is my bag…and what you will find in it! This post may contain some affiliate links for your convenience. Click here to read the full disclosure policy. You can typically find quite a few memory cards, a laptop and an external hard drive nearby as well! We have lots of equipment we love and quite a lengthy wishlist as well! Hopefully this year we will add another lens or two to our bag! Feel free to ask questions! I love to talk shop! !